Throughout elementary school, I remember occasionally tuning to Fox weekday afternoons to watch the original eight DigiDestined and their adventures in the Digital World. It wasn’t until I discovered fanart in high school that I marathoned the first two seasons of Digimon (and then the third season along with the movies). I distinctly remember being holed up inside my sauna-like bedroom during that fateful summer break, watching possibly a voice dub or some strange unofficial english dub on YouTube. I remember this because the characters would say “Hickory” instead of Hikari or Kari. Long story short, I was obsessed with Digimon. I loved the characters, the voice acting in both English and Japanese, and the plot… and I still do. I know Pokemon fans will come at me with pokeballs, but I always say Pokemon’s storyline pales in comparison to Digimon’s storyline, especially the first two seasons of Digimon. Honestly, the DigiDestined have a special place in my heart. So, the other day I was perusing through tumblr, and discovered announcements regarding Digimon Adventures Tri. Mouth agape and internal screaming quickly escalated to me jumping around the house with my hands in the air. 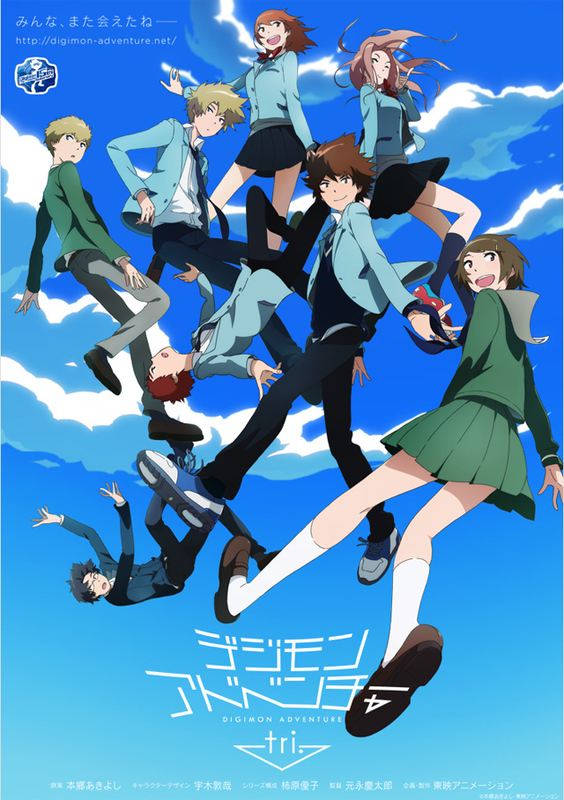 A season dedicated to the original eight: Tai, Matt, Sora, Izzy, Joe, Mai, TK, and Kari (yes, I prefer going by the English dub names)—six years later after Digimon Adventure. If you’re a Digimon fan, even a casual one, mark your calendars for this April! In the mean time, you can head over to digimon-adventure.net for teasers.